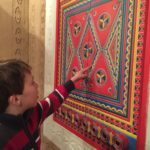 This is a continuation of my post: Advice for Expats with Children in Saudi Arabia #s 1-10. 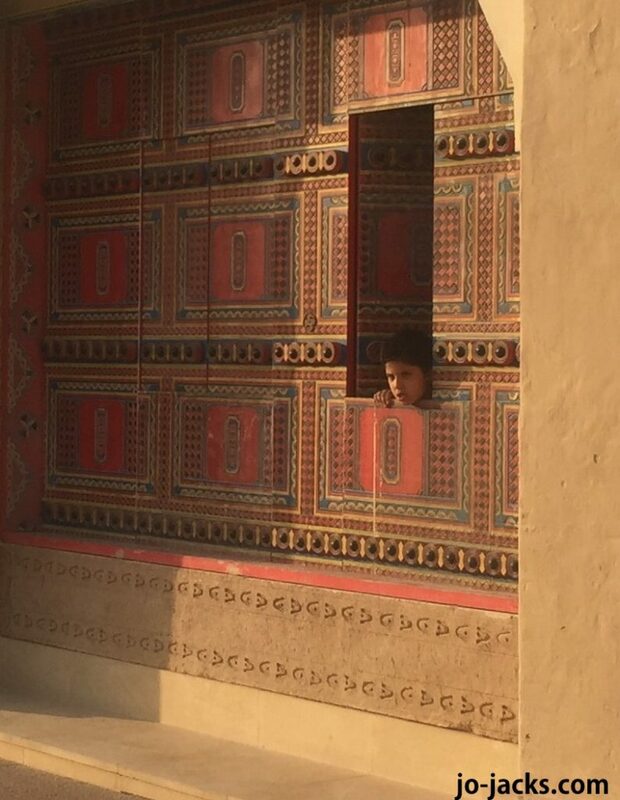 Our American family of five lived in Riyadh for three years (2013-2016), and we are happy to pass on some information on what to expect and practical advice for other expats with children in Saudi Arabia. 11. English is Everywhere, Learning Arabic is fun! 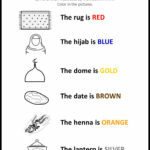 Arabic is of course the primary language of Saudi Arabia. With some inquiries, Arabic tutors can be found for adults. For children, local schools are taught in Arabic and international schools will teach Arabic as a second language. The English language is used extensively throughout Riyadh. For instance, restaurants provide English menus, almost all store and service employees speak English, food and clothing products have labels in English, etc. And even among the internationally diverse expat community, English is the main common language and the language of business. 12. Bring a taste of home. One of the easiest and cheapest ways to stay connected to your home and your own culture is through food. 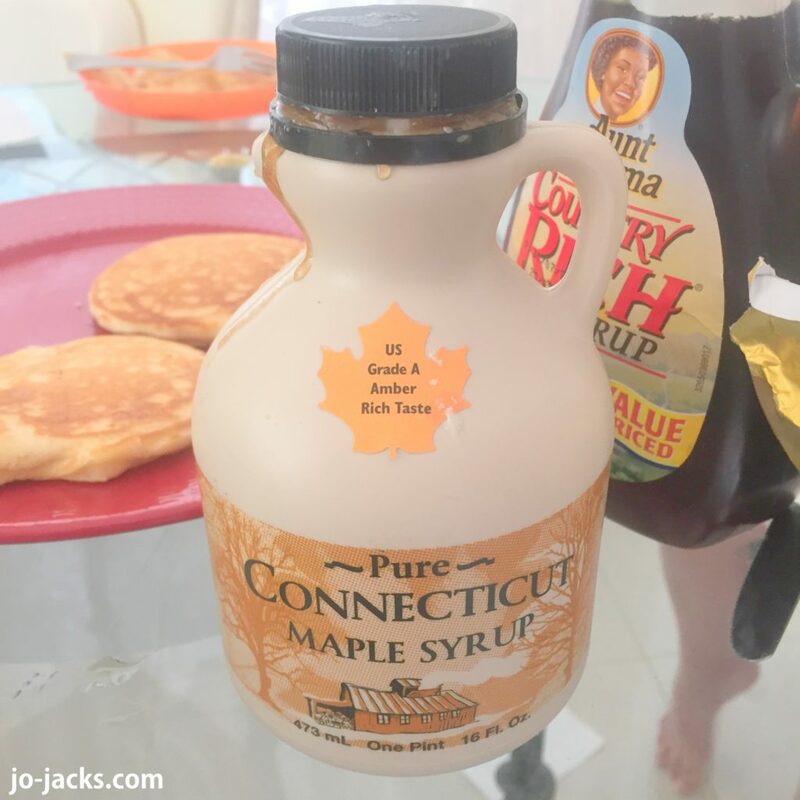 Our family would bring Vermont maple syrup bottles with us to Saudi and make pancakes every Saturday morning. In general this is not well-practiced within the local population or much encouraged by pediatricians and hospitals. You won’t find facilities for nursing mothers in malls or other public places. I never saw a women nursing in public in Saudi, and when I nursed a baby in the lady’s bathroom (which was not a comfortable environment), I received many strange looks. There are support groups within Saudi for breast-feeding mothers and some lactation consultants. But it is mainly a private activity. Even websites about breast-feeding are blocked by censors. 14. Keep the traditions alive. Within the bounds of what is allowed, do your best to keep holiday and family traditions alive. 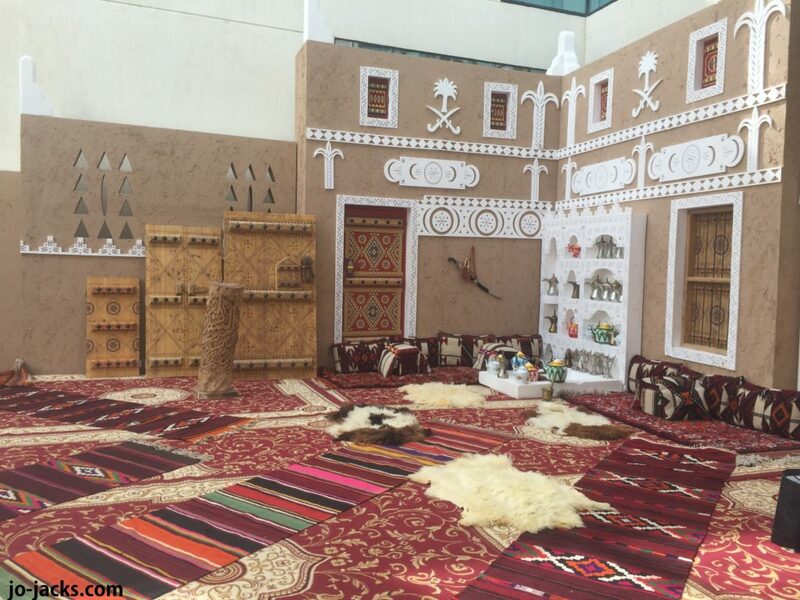 This is especially important for expats with children in Saudi, as your children will learn about these traditions mostly from you in your home life, rather than through the greater community. We had great fun celebrating Thanksgiving – searching out Turkeys and cranberry, inviting all our neighbors to a huge supper, and taking turns declaring that which we are all most grateful. 15. Costumes and traditional dress. This is one thing we purchased for our children in the USA and brought to Saudi – costumes of all sorts for our kids to play pretend. You can find a few in shops here, but selection and quality is limited. Also, it is typical for the international schools to have a “National Dress Day” so think about buying something in your home country before you come to Saudi. 16. If you see it, and want it, buy it. Most goods in Saudi – clothes, household items, even many food items, are imports. Their inventory is not always steady. You might see something you like at a store, for example Tostito Chips, and then next week they are gone, and won’t reappear for a couple months. So if you see something you like, and if it is an import, better to buy it, rather then come back later and find it is sold out. We took on a bit of a hoarding mentality with some items (Wheat Thin crackers were my craving). Every part of the world has its extreme weather. 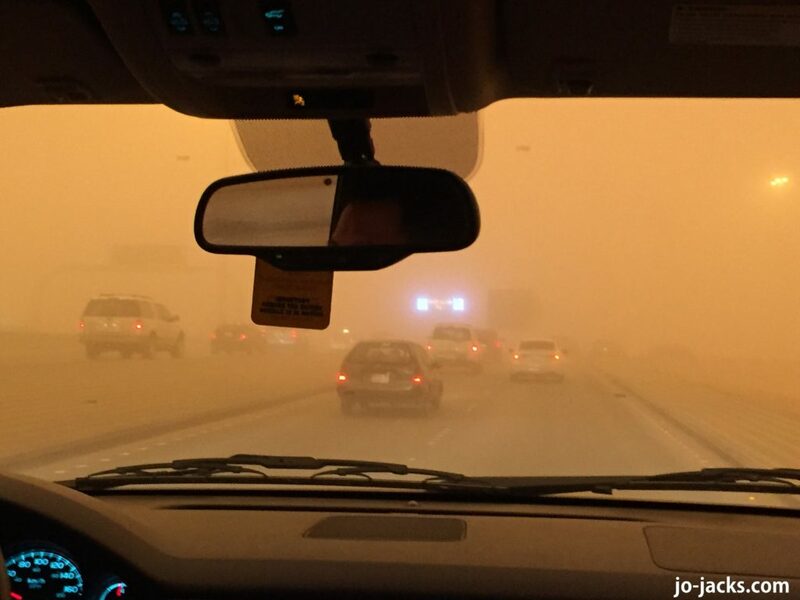 In Saudi you’ll have sand storms in the Winter/Spring and then extreme heat in the summer. Embrace the inside play opportunities. Every mall has fun areas for children of all ages. 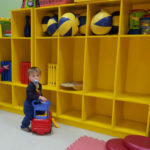 You can also find Gymboree play classes and My Little Gym, as well as inside sports programs for older children – like Tae Kwon Do. Many children in Saudi seem to develop asthma. I believe this is based upon the amount of dust often present in the air, perhaps the dryness of the air, and possibly by air pollution. This is pure observation and not scientifically based medical statements. I also noticed with my own children that they seemed have minor allergic reactions to pollen and grass back in the USA – probably because they aren’t as exposed to it in Saudi. If you have children with blond hair and blue eyes, they will probably attract more attention and other children might stare at them or reach out to touch their hair. Inter-racial couples and children might also get attention or comments in ways that are curious and sometimes rude. But, for the most part, the Saudi population is in itself racially diverse and accepting of other people of all different colors and looks. 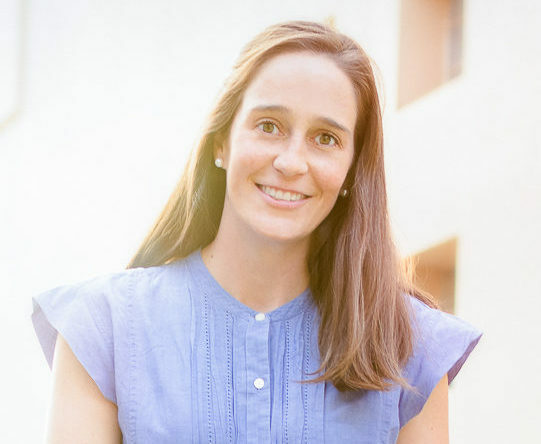 You can find specialist doctors here, such as pediatric orthodontists, speech therapists, etc. But for children with learning disabilities or developmental issues, there’s limited resources. Only a few schools have special needs trained staff. To be frank, I would caution families needed these services from coming to Saudi. We enjoyed our time in Saudi Arabia. It is such an interesting place to raise a family, and for us it was such a different climate and culture to experience. We tried our best to be good guests of the Kingdom and experience its wonders, while still holding on to the values, connections and traditions that make up our family’s fabric. I wish you all luck in your journeys as expats with children in Saudi. Was this advice helpful? Do you have any other questions? Feel free to leave a comment.